Build your digital additive manufacturing strategy without compromise. Link3D’s Additive Manufacturing Workflow & Additive Manufacturing Execution System (AMES) streamlines industrial 3D printing operations across vertically integrated and distributed manufacturing supply chains. Powerful alone, but even better when used together. Centralize RFQ order entries across vertically integrated facilities and distributed 3D printing service bureaus. Speed-up quoting and costing with ​Link3D's Build Simulation and auto-quoting solutions. Keep track of additive manufacturing order statuses across all 3D printing stages of the supply chain while driving actionable insights with data analytics. Easily plan and schedule work orders across all 3D printers within your facility, center of excellences and vertically integrated network of additive manufacturing facilities. 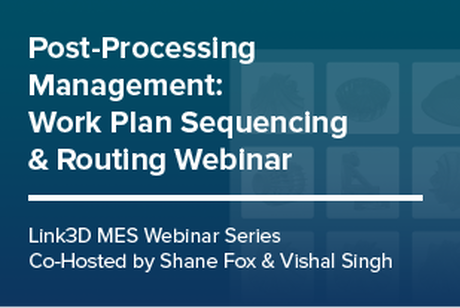 Streamline production planning to maximize machine utilization with yield management system. 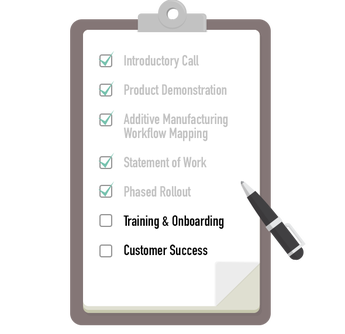 Keep track of key metrics to maximize production output and minimize lead times. 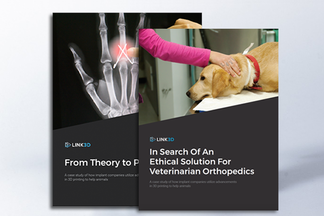 ​Link3D’s ‘Service Bureau Program’ is specially designed to close the gap between OEM needs across their partnered service bureaus and contract manufacturers. Take advantage of modular solutions that will empower your sales team, lab technicians, application engineers and business owners to provide the best customer experience, whether you are starting your business or scaling production operations. Link3D additive manufacturing software empowers OEMs and Service Bureaus to streamline industrial 3D printing workflows, maximize production capacity and enable end-to-end traceability across upstream and downstream manufacturing processes. 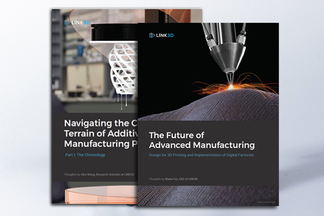 ​Link3D works with OEMs in the Aerospace, Automotive, Consumer Electronics, Defense, Industrial and Oil & Gas sectors to transform their additive manufacturing supply chains across R&D, rapid prototyping, tooling and series production. To achieve the promised benefits of Industry 4.0, Link3D has developed a well-defined process to transform vertically integrated and distributed manufacturing supply chains in the Cloud, Private Cloud or On-Premise. Our seasoned additive manufacturing and 3D printing supply chain experts will help you identify where you are in your additive manufacturing journey. Through “Link3D Workout Sessions”, we will keep in mind your organizational goals, breakdown day-to-day processes, alleviate additive manufacturing workflow bottlenecks and develop a plan to transform your additive manufacturing supply chain for scalability. You don't have to go it alone. Get the most out of your tools with Link3D’s customer support team.